This is the last shop in my main street series. I hope you have enjoyed looking at them as much as I have had making them. I think I might start on the other side of the street! I used stampin up cardstock, assorted stamps, and the background paper is from the kaisercraft range – Up up and away. Til tomorrow….. Very quick post tonight as its shopping night. Todays shop is a shoe shop. 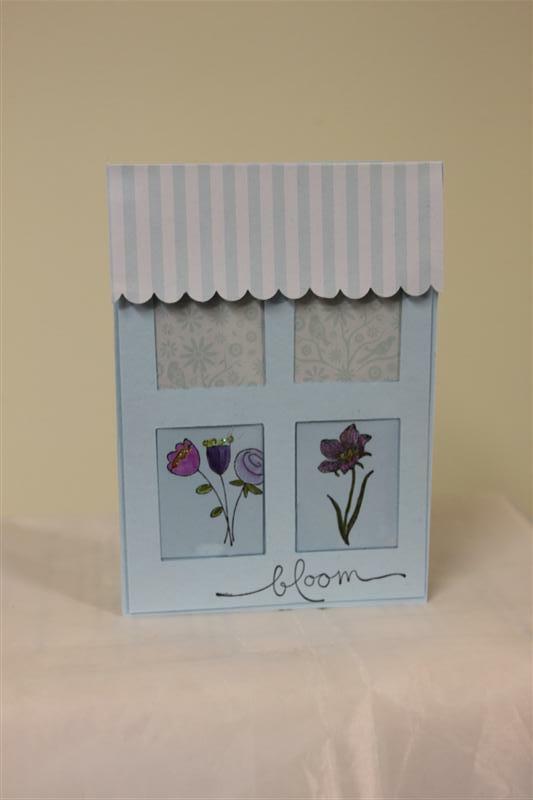 The awning was made with paper from Little cake shoppe – Docrafts. 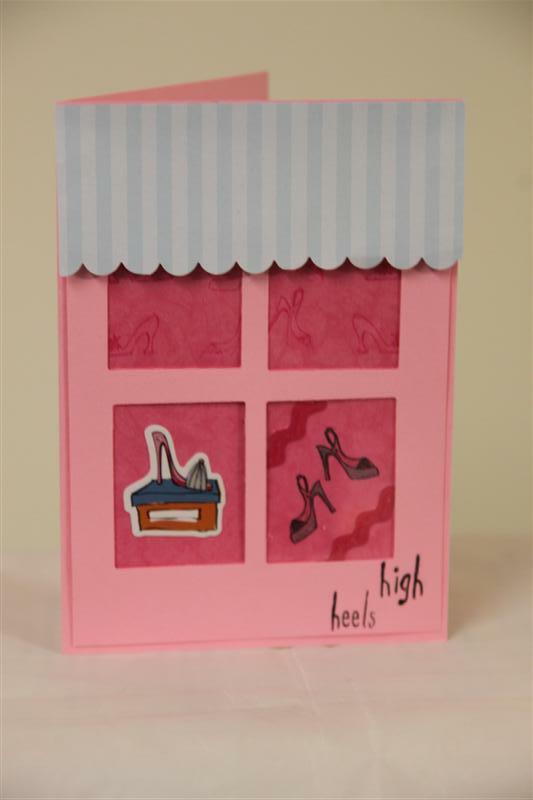 I used Stampin Up cardstock, and the shoe stamps and sticker was from Docrafts born to shop range.Til tomorrow…. Shop 3 is a corsetry shop – all good main streets should have one! 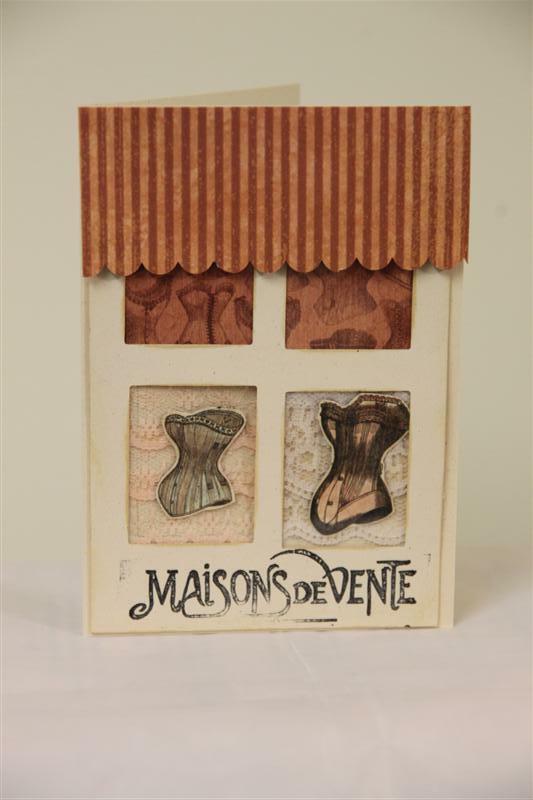 I used Graphic 45 Steampunk debutante paper, and Oxford impressions stamps – Corsetry – and I placed a little lace behind the lower windows. As with all the shops, there is acetate for the window glass. I’ve been busy creating in my room today, and will have to get my photographer on the job now to take some photos. Til tomorrow…..
Shop 2 in my series is the Florist. 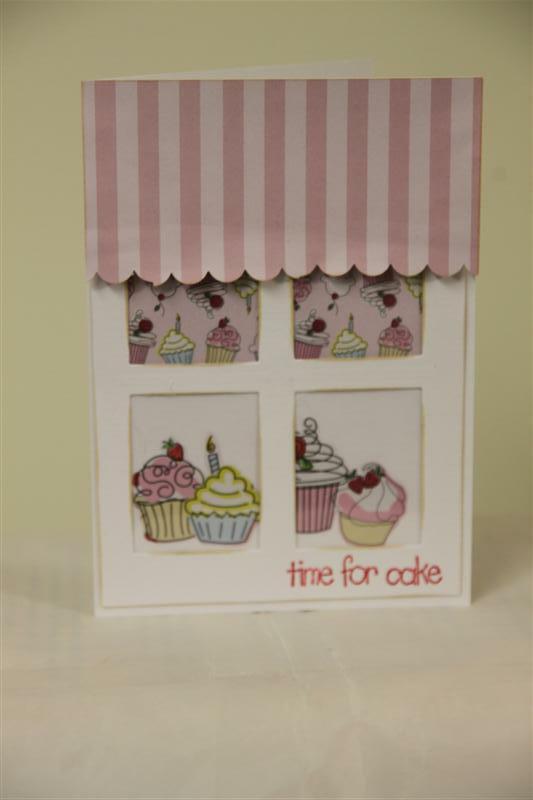 The canopy paper is from The little cake shop range from docrafts, and the patterned background paper in the top windows is from Papermania. I used stampin up cardstock – bashful Blue,and assorted stampin up stamps for the flowers . The name of the shop (Bloom) is also a stampin up stamp Another shop tomorrow! Til then….. 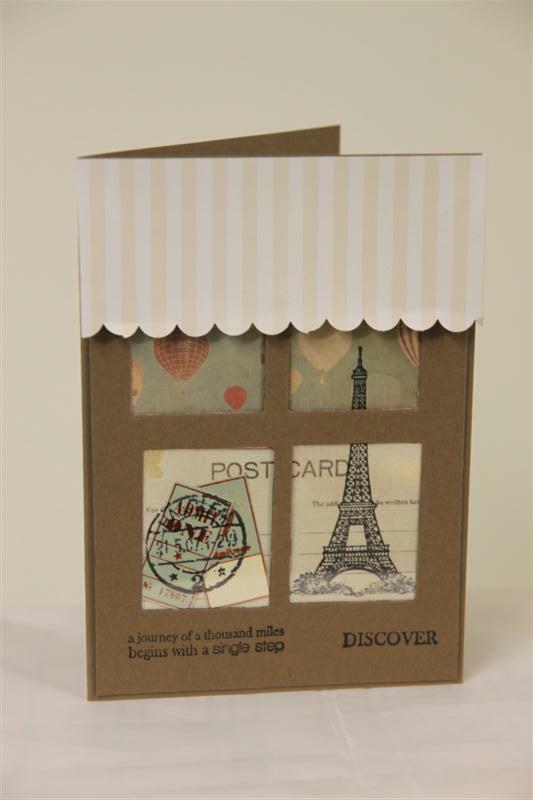 The name of this paper collection inspired the card, and I didn’t stop at one shop – I made a whole street! Over the next few days you will be welcomed into my shoe shop, flower shop etc etc…. I used Docrafts paper – The little cake shop, white card, and acetate for the windows. I cut the windows with my rectangle nestabilities, and that was the trickiest bit, making sure the windows lined up. I fussy cut the cakes from the paper for the lower windows. I had great fun making these cards, I hope you like them! Til tomorrow…..